Doctor George Martin is a native of Philadelphia. He completed his undergraduate education at the University of Pennsylvania and received his medical degree from the Temple University School of Medicine. He completed his residency in internal medicine at the Medical College of Pennsylvania and his dermatology training at UCLA. He is Board Certified in both dermatology and internal medicine. 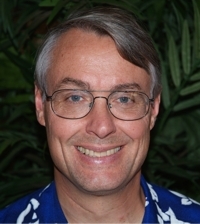 Doctor Martin has practiced clinical dermatology in Maui since 1989, where has been a clinical preceptor for numerous medical students and residents, earning several teaching awards. As a practicing clinician, clinical investigator, and internationally recognized lecturer, he is particularly interested in chemoprevention, psoriasis, atopic dermatitis, acne, and collagen vascular diseases. Doctor Martin has published in several medical and scientific journals and ` is founder and program chairman of the internationally recognized dermatology meeting: “Maui Derm: Advances in Cosmetic and Medical Dermatology.” He is also co-founder of the key thought leaders meeting in rheumatology: “Rheumatology Winter Clinical Symposium.” His interest in evidence-based medicine has led to his creation of the Delphi-based Consensus Conferences in the areas of psoriasis, acne, atopic dermatitis, and rheumatoid arthritis. He is a contributing editor to the Journal of Clinical and Aesthetic Dermatology, Skin and Aging, and SKINmed.